So I finally finished it. Probably only because the due date is today and I don’t have any more renewals. I read it while knitting a hat or two. I found it informative. 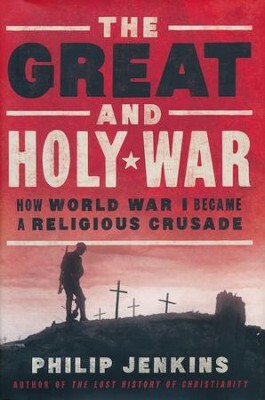 The last couple chapters were about how World War I the religious landscape of the Middle East and Islam. I do have to say that when the author talks about Christianity it is rather obvious that his paradigm is Protestant. He does use terms like ‘medieval’ to describe some things that Catholics and Orthodox hold dear – like miraculous events. But I like this quote. I’m not so sure that the first part of the quote accurately describes Orthodox or even Catholic tradition. But in my experience it describes Protestantism to a T, which I guess matches what the author was trying to say because it was in a Protestant section.